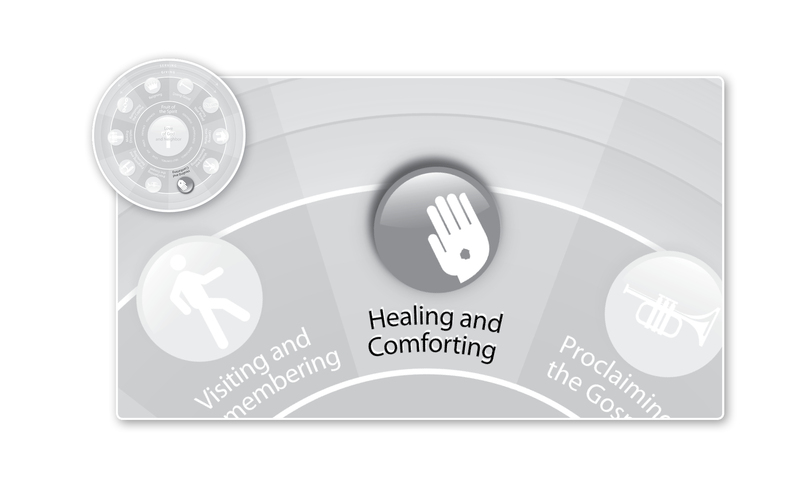 ← What Do Healing and Comforting Have to Do With Hospitality? The Basic Category of Healing is Not Miracle. It’s Sign. We kicked off this series by noting how deep the connection between salvation and hospitality is, ending with the question: How do salvation and hospitality relate to healing and comforting? The answer is found in the beginning. Or a few chapters after it, to be more precise. Sin entered the world through Adam. Or, put differently, Adam hosted sin. And as a result of that hospitality—which we call “original sin”—all human beings throughout all of history have hosted things we were never designed or intended to host. There’s a word—and a cost—for hosting what one is never designed to host: disease. Disease, sickness, illness: we don’t typically think of these as hospitality problems. That’s why it’s hard for us to understand Jesus expelling them, often with explicit reference to demons. But we need to come to grips with this important biblical truth: Humans host illness and death involuntarily. It’s not a natural process. It’s a forced occupation that gradually incapacitates us physically, socially, and spiritually. First, illness and death are forms of involuntary hosting due to original sin. They’re not natural parts of what it means to be human. Second, illness and death are involuntarily hosted in every part of the human frame. Illness is physical (i.e., it infects the body), social (i.e., it infects the soul) and spiritual (i.e., it infects the spirit). But here is the Good News: Christ’s death and resurrection signal the eviction of sin and death! Christ is the true host and the true guest of every human being. Human beings are created in order to be hosted by him on earth and in heaven–and we are created to host him, too: in our spirits, which will manifest his presence in our souls and in our bodies. We bear his image to the world: that’s our purpose in creation. So for Christians, the basic category of healing is not miracle. It’s sign. Healing points toward something: hospitality set right. Human beings hosting God, bearing his image—all made possible because Christ first hosted us. If you miss that each healing is a signal of Christ’s eviction of sin and death, you end up with the idea that each healing is an end in itself–a miracle, a kindness that Christ grants against the backdrop of a cruel, evil world. But Christ isn’t about granting kindnesses. He’s about making all things new. Does that difference really matter? Why or why not? This entry was posted in Uncategorized and tagged Christianity, Christianity-as-Philanthropy, Healing and Comforting, Hospitality, Jesus, Miracle, Sign, Whole Life Offering. Bookmark the permalink. 5 Responses to The Basic Category of Healing is Not Miracle. It’s Sign. A good example of how the early Christians manifested the sign (and not the miracle) of healing was in the epidemics that plagued Rome. Through offering basic nursing services, the people that they ministered to (many of whom were pagans) had a higher survival rate than those who remained without the hospitality of the Christians. By placing their own lives at risk, the Christians demonstrated Jesus’ love to those to whom they ministered. It wasn’t faith-healing or miraculous in nature. It was quite ordinary and bodily. All shared in the ministry of healing without regard to whether certain spiritual gifts had been bestowed. Their actions pointed to they way things should be in the Resurrection life. Thank you, Val–spoken like the true doc you are!